Animals used for testing need your help! 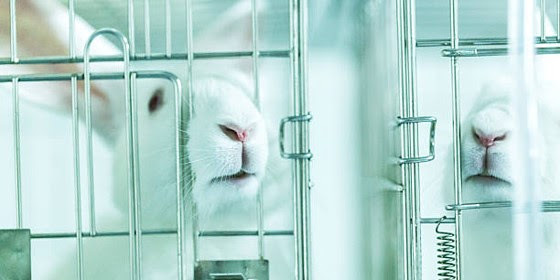 his week, Take Action Thursday focuses on new state legislation to end the use of animals for cosmetics safety testing. Legislation can move very quickly through states that have short legislative sessions. Since the issue of state legislation embracing humane cosmetics was reported in Take Action Thursday on January 10, several more bills have been introduced that would ban, on a state level, the use of animals for product safety testing. If the bills are passed, these states will join New Jersey, New York and Virginia, which already have such bans in place. Time is of the essence to get these bills passed, so if you live in one of the following five states, take action now! If your state does not already have—or is not currently considering—a ban on using animals for safety testing, please ask your legislators to require only humane cosmetics in your state. Want to do more? Visit the NAVS Advocacy Center to TAKE ACTION on behalf of animals in your state and around the country. And please make a donation today to support the advancement of humane legislation across the U.S. This entry was posted in News on January 31, 2019.